When you think of style, class, and an altogether iconic automobile brand, it’s impossible to not include Alfa Romeo. Rich with history, the Italian auto manufacturer boasts a number of gas-powered masterpieces with unique features that all include one of the most noticeable elements — the Alfa Romeo scudetto grille. Originally designed by Giuseppe Merosi, the scudetto, or “little shield” in Italian, has gone through many design changes before ending at the shield shape you see today. Various design firms have worked with the Alfa Romeo brand, including Pininfarina, Bertone, Italdesign, and Zagato. Each has played with the design to stylize the grille further to create an artistic, distinctive look that could not be mistaken for any other brand. In general, Alfa Romeo focuses on preserving its brand identity while creating head-turning, innovative vehicles with iconic features — its scudetto grille is just another example of this. Why is it that the Alfa Romeo grille is such an important piece of the car? In short, the Alfa Romeo grille is a prominent status symbol of one of the most sought-after vehicles, with the most common name being referred to as “Villa d’Este” after the design won the Concorso d’Eleganza that was held at the historic Lake Como in Northern Italy. 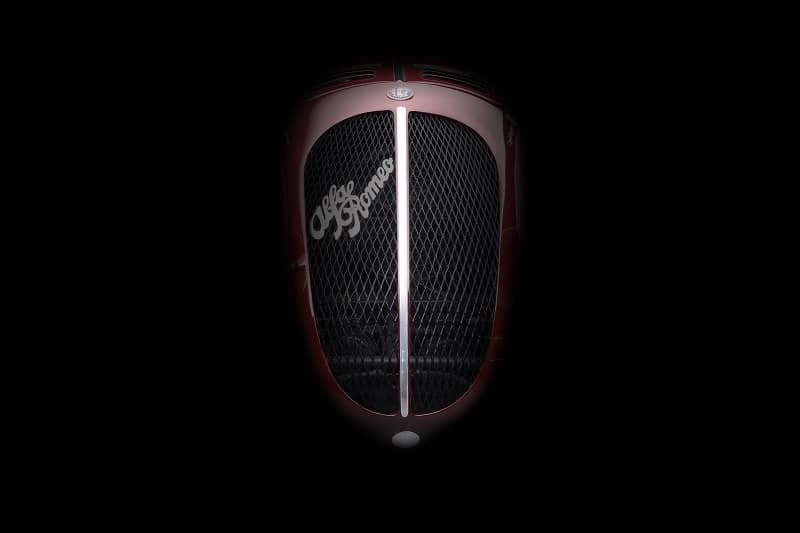 We first see the modern shield-shaped grille on the 1934 Alfa Romeo 6C 2300 Turismo in the book, Alfa Romeo – Production Cars written by two Alfa Romeo experts, Stefano d’Amico, President of RIAR, (Alfa Romeo Italian Register), and Maurizio Tabucchi, consultant at both RIAR and ASI, the Italian Vintage Automobile Association. There seemed to have been a bit of experimenting with the grille shape in the years that followed, with the heart-shaped center grille being used on an 8C 2900B Touring special-bodied car for King Michael of Romania in the early 1940s. This characteristic design feature was further revised in the various 6C 2500 examples of the 1940s, and the 1900 model of the 1950s, remaining an Alfa Romeo design trademark still to this day. During this period, Pininfarina also started to experiment with a narrow triangular grille. It wasn’t until the mid-to-late 1950s that the grille started taking a more uniform shape across all vehicles. The combination of the elongated, vertical grille and the modest badge has pushed the Alfa Romeo vehicles ahead of their competition with its classic European style and elegance. 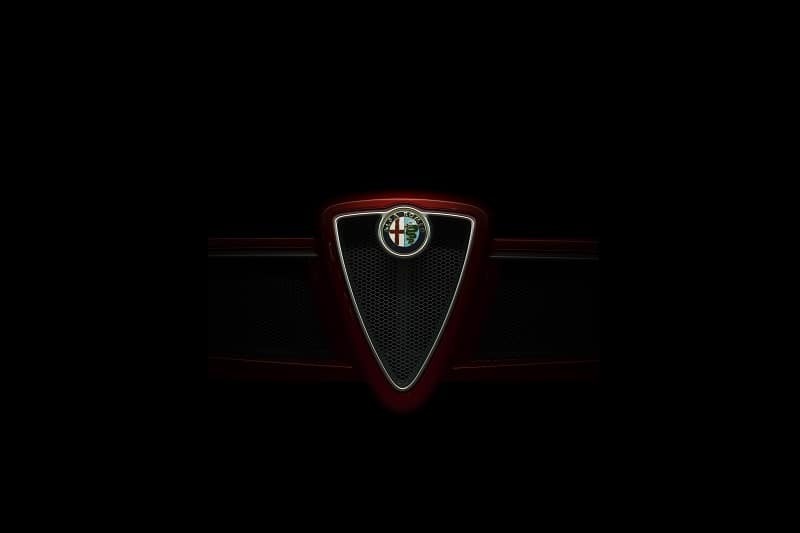 Other vehicle grilles pale in comparison to Alfa Romeo’s distinctive grille and badge design. The placement is consistent throughout each model that is carried by the manufacturer. Throughout the manufacturer’s history, the badge has evolved and changed almost as consistently as the grille. From its start in 1910 with two traditional symbols of Milan — the cross of municipality and the Visconti serpent, to 1946 when a red version of the badge was created due to the destruction of the factories during WW II. This version was created in part because the machines producing the badges was destroyed during the war and then led to the creation of the Spartan single-colored version of the badge. Changes are consistently made throughout the years until most recently in 2015. Each element was created to highlight the manufacturer’s bold and expressive personality. When you’re driving an Alfa Romeo, you’re driving more than a luxury vehicle. It’s a legacy that has been brought to life. The Alfa Romeo grille prospered throughout the history of the manufacturer and has become an iconic staple in their vehicle lineup. Proving that everything they encompass is second-to-none.